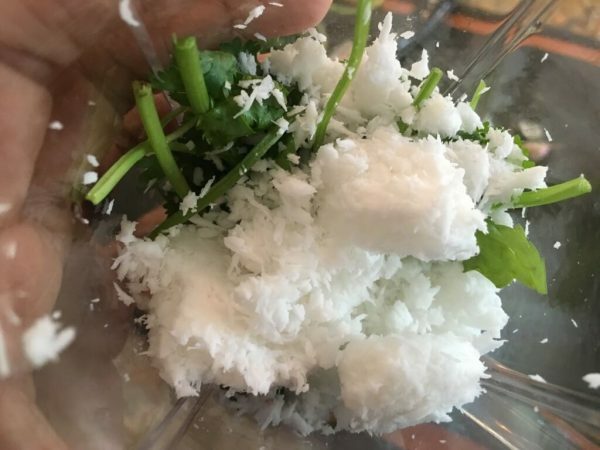 In this recipe, I will show you two ways of presenting the simple medu vadai, a popular breakfast, and teatime snack in the southern states of India. Plain vadai soaked in rasam, and thayir vadai (yogurt vadai) cooling in a bath of spiced yogurt. Both are non-fussy, no frills no fancy recipes. I don't typically beautify my thayir vadai with carrot shavings, boondi topping, cilantro, sweet and sour chutneys, or any such thing. It is soaked in the goodness of wholesome, spiced yogurt and that's it! 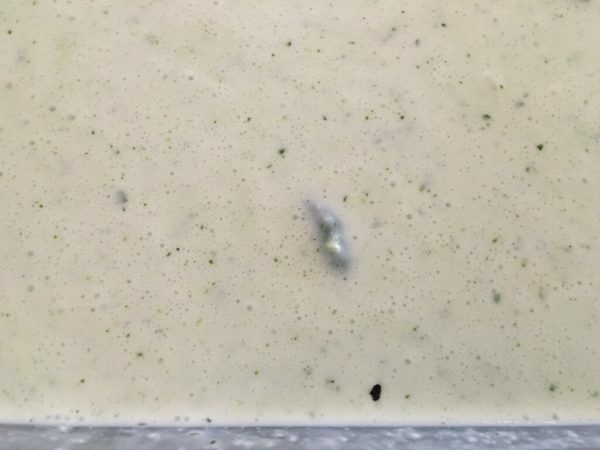 I feel the toppings only get in the way of the authentic taste of the vadai that's absorbed the flavoring in the yogurt, namely a mix of ginger, coconut, green chilies and cilantro. Take a lemon sized ball of batter in your hand on the four fingers, and flatten it slightly into a vadai shape. Make a hole in the center with the thumb, and gently drop in the hot oil. This comes with practice. 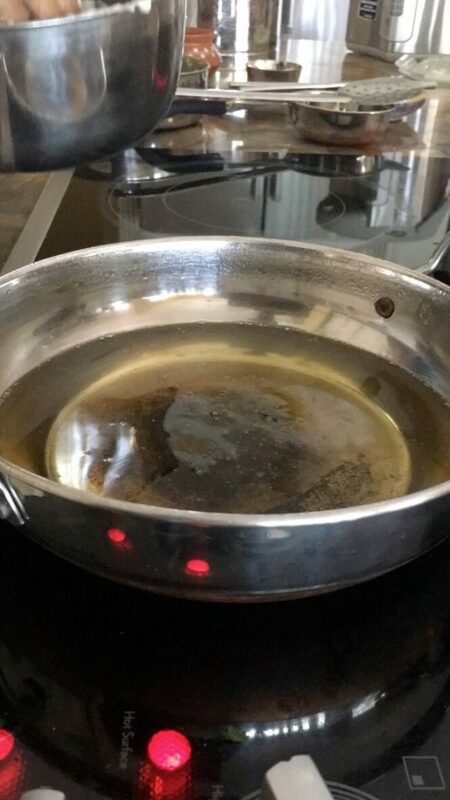 I have seen folks use a ziplock to do it, but invariably they all use water to remove it from the plastic onto the oil and the vadai ends up being super oily. I have found making it with your own hand is the easiest way to do it, and have added a video of me making it today, hope that helps. It's important to not crowd the oil, in which case the temperate will drop and the vadais will take too long to cook, and will be oil guzzlers. 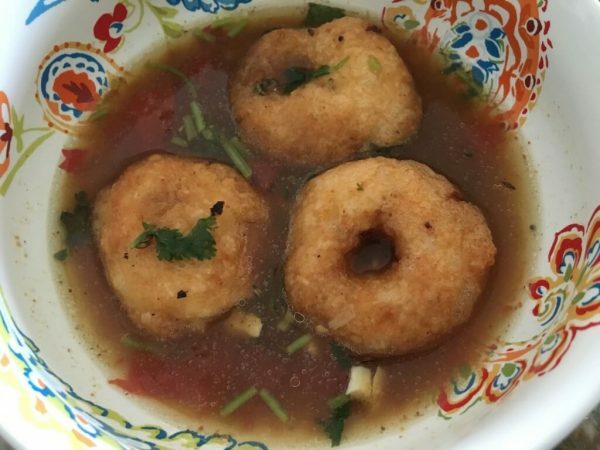 If you're making just plain vadais to eat with chutney/rasam or sambar, feel free to add onions to the batter. The rest is the same! 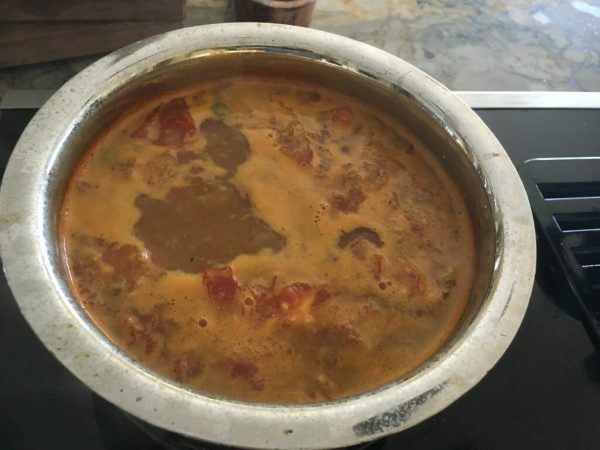 For thayir vadai, I have seen recipes where they tell you to drop it hot water after taking it off the hot oil, squeeze out the water and then drop into the yogurt. In my 20+ years of making vadai, I have never done that, and mine always turn out super soft, airy, and never oily. 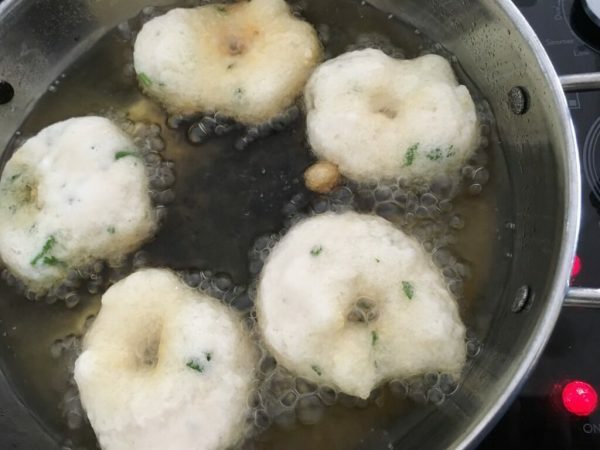 The trick to light as air vadais is to make the batter with minimum water, and to use only good quality whole urad. 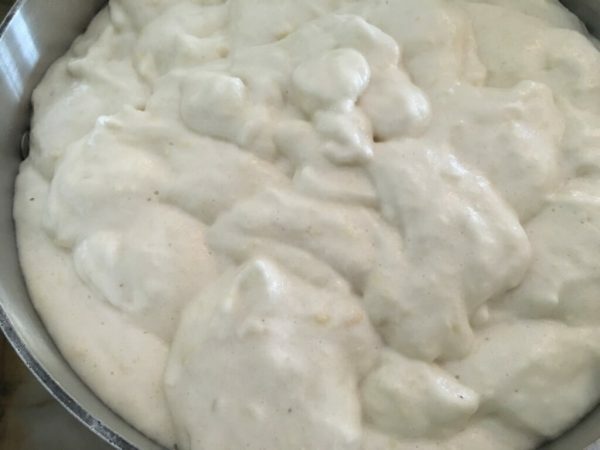 You should never let the batter ferment and become sour. 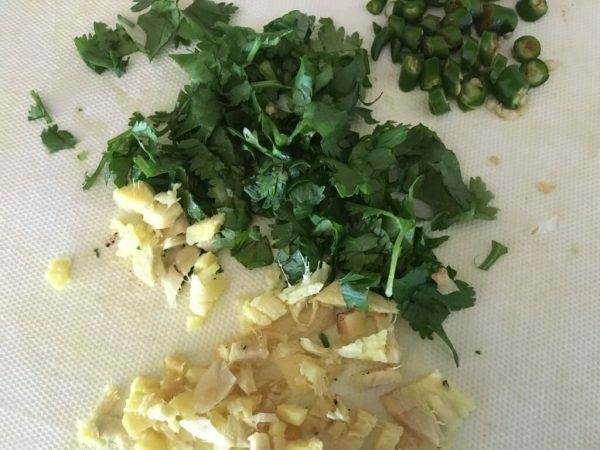 If you're not going to make the vadais immediately, refrigerate it until ready. Allow it to come to room temperature before frying, or the cold batter will bring down the oil temperature, and take too long to cook. 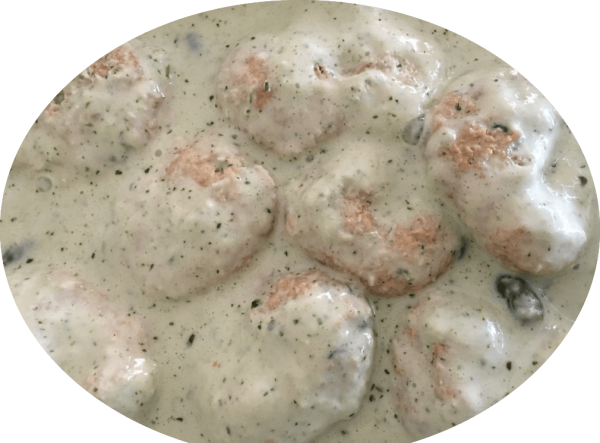 If you get the batter right, you can't go wrong with the vadais. If you don't get the shape right, don't worry about it, mine are still not perfect. Hope you make them, and if the tips above are helpful, would love to hear back, with pictures! 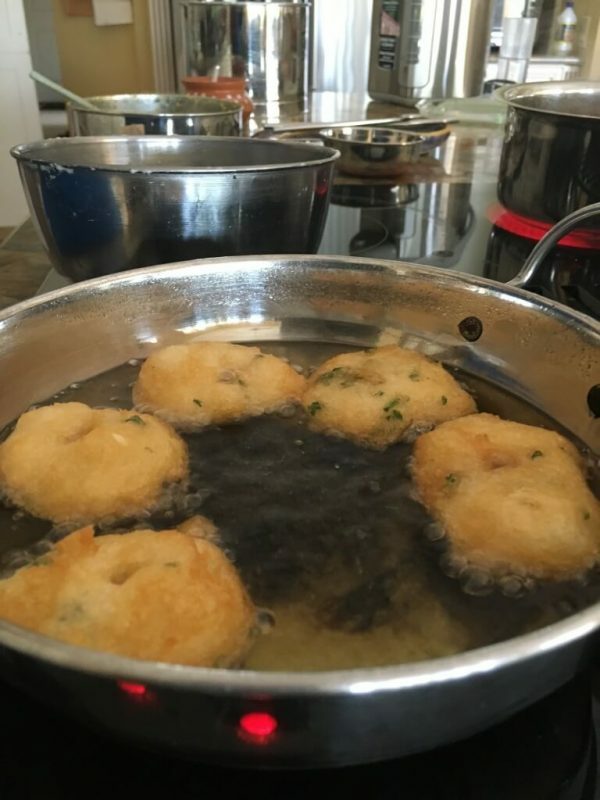 Here are a couple of youtube videos of me frying the vadais. This was my first time trying timelapse, thanks to my lovely daughter. Would love to hear any feedback/suggestions on making better videos!